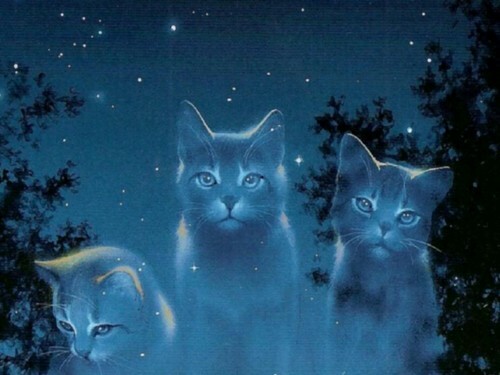 starclan बिल्ली. Three starclan बिल्ली standing द्वारा trees.Looks great as a वॉलपेपर on ur screen :) !. HD Wallpaper and background images in the Warriors (Novel Series) club tagged: starclan warriors cat cats others warrior clan three. This Warriors (Novel Series) wallpaper might contain टॉम, बिलाव, टॉमकैट, बिल्ली, सच्चे बिल्ली, सच बिल्ली, बिल्ली का बच्चा, किटी, and किट्टी.